When it comes to wader identification there are very few people who can recall all the seasonal variants of all the wader species and all their permutations and I am most certainly not one of them! Consequently it is with alarming regularity that I find myself reaching towards the shelves of my library to learn (sadly often not for the first time these days) the distinctions between two subtly different species. 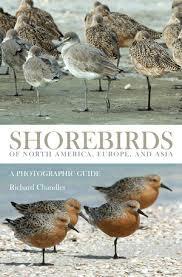 The main contenders in a large collection of wader books. As with all libraries there are some books that are thumbed more frequently than others and here I have indicated the books that I use the most for identifying waders and they are not all necessarily specifically wader books as you'll see. 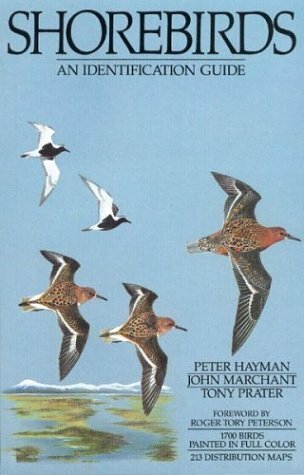 Despite the obvious drawback of not having all the plumages of all the species illustrated on the plates, this book is often a very useful reference work when it comes to finding out the basics of all the wader species. As a result this third volume of the set is rather dog-eared compared to the rest of the series on the shelf, which are very much less frequently referred to. 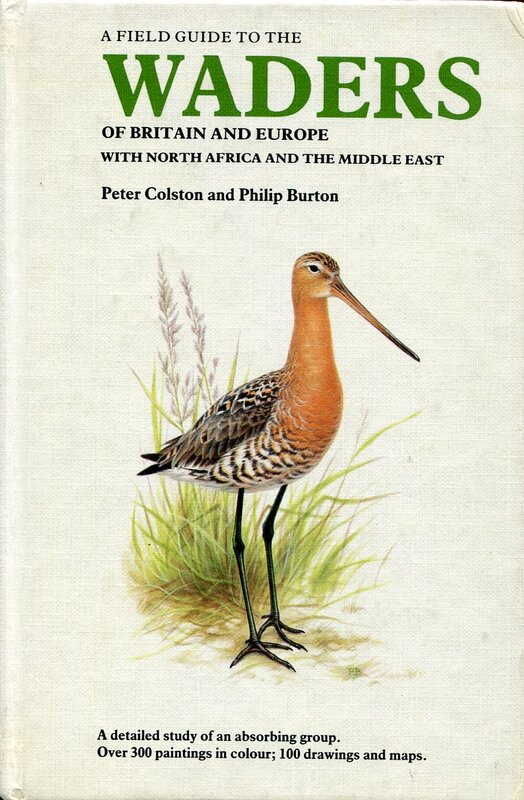 This was the first book I owned specifically about waders and it was certainly responsible for my increased interest in this group of birds as the plates in this little book are superb and I often still find myself looking lovingly at them. 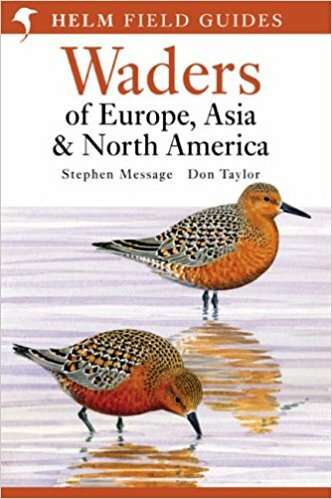 I also, perhaps, got my fascination for the names of waders in languages other than English from this book which listed the names in Dutch, French, German, Spanish and Swedish. One of the drawbacks of this book however is that the distribution maps are separate from the plates. 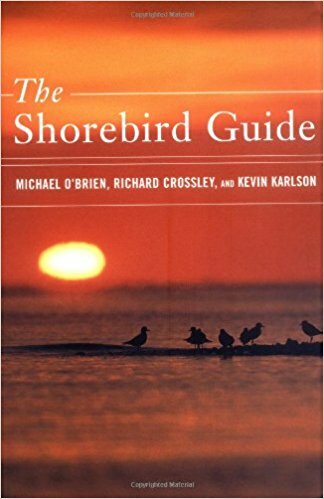 When it came to the American waders, or shorebirds as they prefer to call them over there, this book used to get a deal more attention in the past than it does now since the more modern guides have emerged. But it is still a book I return to when looking for something specific and as there are lots of little field craft hints to be found that often help with tricky ID conundrums it is always enlightening. I also get a twinge of satisfaction from the fact that they refer to the Tringa species as waders in the header. 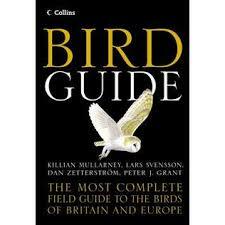 Nº 7 Collins Bird Guide Killian Mullarny, Lars Svensson, Dan Zetterström and Peter J. Grant. 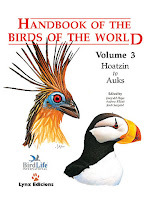 Widely accepted as being the ultimate bird guide, the plates are wonderful, the information is perhaps a little scant for in depth study but the field craft hints and summaries are fantastic. Almost all plumages are shown with flight plumage details also shown which, with waders, if often as you see them once you have inadvertently flushed the invisible bird from in front of you. Having the large hardback version makes the whole experience even more enjoyable. There is so much information in this book about each species that it is hard to get your head around it but, if you ever need an in depth look at the waders of this region, as I sometimes do, then there are few places where you'll find more. There is the caveat of course that this is not a new book and some information may be a bit outdated and so needs to be cross checked if used. Nevertheless it remains one of my favourite book collections which I enjoyed collecting despite it stretching my purse at the time. 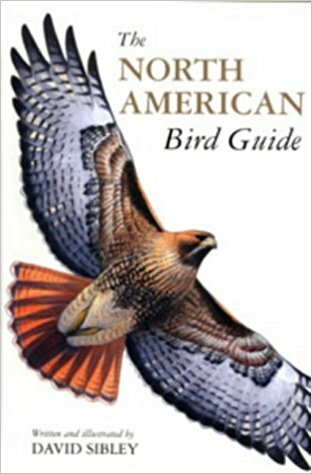 Perhaps you could consider this an update of the book at Nº9 in the list with the addition of all the North American birds as standard. Again wonderful plates with birds shown in similar positions to give differences in structure. Species are also shown in flight although these are at the back of the book separately with the distribution maps. This means looking up a bird twice which can be time consuming but the great wealth of information about identifying these birds in flight negates this small quibble that I have. On first glancing through this book it felt like going back to school, there were puzzles and questions on many of the pages encouraging you not just to look and learn but to also test what you had learned. It became apparent very quickly that I wasn't half as clever as I thought I was leaving me feeling inadequate. However discovering where I was going wrong greatly added to my experience and knowledge while actually (when you started getting a few right), a lot of fun and very satisfying. 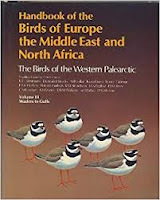 This was the first photographic identification book I owned that greatly enhanced my understanding of the similarities and differences between so many of the waders which I have encountered. Painted plates are of course superb and very pleasing on the eye and very useful in highlighting the differences between species side by side, but there is nothing like a series of photographs to demonstrate that birds do not always sit neatly sideways on with their feathers untroubled by the turmoil of life and it forces you to look more broadly at identification. This new book is never far from my side. The immense talent demonstrated in both writing and illustrating this book is mightily impressive. 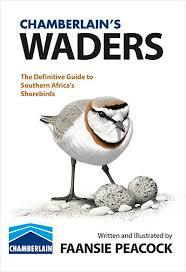 The book is ostensibly about the waders of southern Africa but there is much general information about waders that can be applied to other regions. This is a book that you really have to own, even if you never have, and never will, visit southern Africa. I have not (as many will attest) been a fan of the idea of Buttonquails being waders but this book has convinced me that I must eventually go with the flow. This is still the first book I reach for on the shelf and therefore has to be my all-time number one wader book. 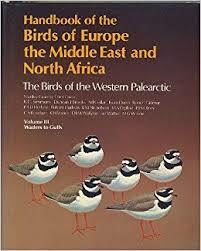 Although this seminal work on waders was published before Nº9 in this list, it was my second wader book. I had become enthralled by waders due to the plates in the other book but on opening Shorebirds for the first time I was introduced to species and entire families that I had not heard of. I realised then that this was a group of birds so varied that they would provide me with endless fascination and inspiration, and I was right. Thanks for the comment and interesting that you have not got those two books, or at least one of them. I really tried to base this list on the ones I use the most and not necessarily making a comment on their quality but highlighting what I liked or disliked about them. I agree with everything you say about Peacock's book and that is why it is at number two, it couldn't be number one as we deal with all the world's waders and so there are times when it just doesn't have what we need, brilliant as it is. I too have just recently acquired the Gejl book and find the photos to be stunningly superb for the most part, but I have not, as yet, turned to it in an hour of need. As for Lars Jonsson, I am in possession of the book but alas as with most of my collection of books it is in storage due to not having space where we are currently living. I long for the day I can erect my bookshelves once more and lovingly unpack the many boxes in which my collection currently languishes. I main reason I've not got them, I suspect, is simply because they're photographic guides as, in general, I have a bias towards books illustrated by good artwork. Everytime they rose to the top of my 'must buy list', yet another tempting illustrated book stole their thunder! Then, to be honest, they rather slipped out of my mind. I tend to agree with you about photo books, there are often several photos needed to display the field marks and ID features that a good illustrator can get into one, perhaps two, artworks. It is also true that waiting to buy books means that new ones will always demand your attention.